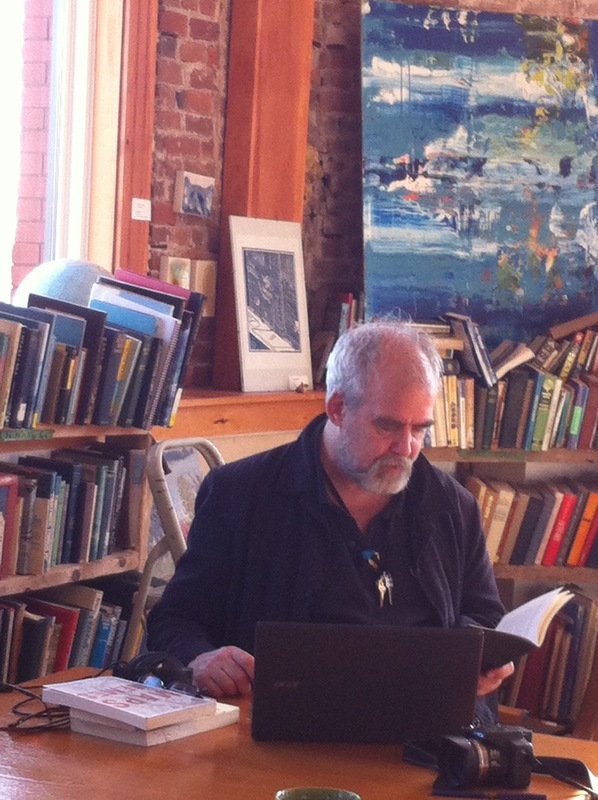 Main & Station is very pleased that writer and performer Ian Ferrier is once again in Parrsboro for a writer’s residency. You might remember Ian from one of his previous residences: he has taught several writing workshops here and in 2013 he came here with For Body and Light, a contemporary dance company directed by choreographer Stéphanie Morin-Robert and, on that occasion, featuring the dancers Linnea Gwiazda, Marie-Pier Gilbert, and Marie-France Jacques. At the end of their residency, For Body and Light wowed Parrsborians with their first performance of Coming and Going in our secondfloor gallery. The dance-music-poetry performance was created during the previous weeks while in residence at Main & Station and was inspired by the local environment and lore and especially by the tides coming and going in the Minas Basin. Since that time the company has taken Coming and Going across Canada and to New York City. They have also created and performed several other works, including Bear Dreams which they worked on while Nonesuch artists in residence at Techno-Lith (New City Gas) in Montreal. Ian has now also published books based on these performance works, Coming and Going & Bear Dreams. The books are available for purchase at Main & Station. While in Parrsboro Ian is working on a documentary about the wild paper pickers of Minas Basin. For Body and Light is a contemporary dance company directed by choreographer Stéphanie Morin-Robert in collaboration with Ian Ferrier of Wired On Words. Linnea Gwiazda, Allison Burns, Danika Cormier, Marie-Pier Gilbert, Marie-France Jacques, and Joachim Yensen-Martin are among the dancers who collaborate. In 2013 For Body and Light wowed Parrsborians with their first performance of Coming and Going on the secondfloor of Main & Station. 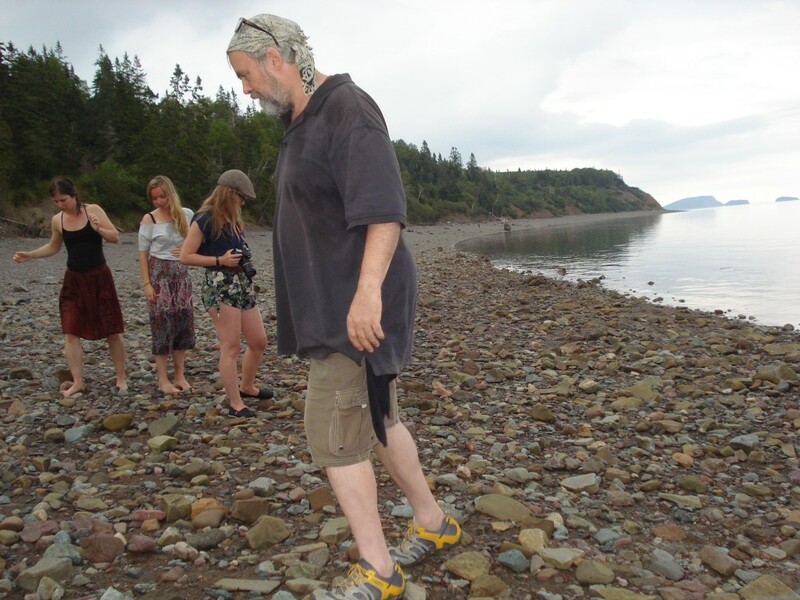 The dance-music-poetry performance which was created in 2013 while Nonesuch artists in residence at Main & Station was inspired by the local environment and lore and especially by the tides coming and going in the Minas Basin. Following the performance one viewer exclaimed excitedly that it was so vivid she could “see the barnacles on their legs“. You may have seen poet Ian Ferrier, choreographer Stephanie Morin-Robert and the dancers of For Body and Light, Linnea Gwiazda, Marie-Pier Gilbert and Marie-France Jacques, during their residency in Parrsboro last summer, a visit which culminated in Coming and Going, a contemporary performance inspired by historic Parrsboro and the movement of the tides in the Minas Basin. Much as the tides which inspired it, the piece which began in Parrsboro seems to transform with each performance. Their most recent version, which also included dancers Alexia Martel and Allison Burns, was a series of performances from March 1st through 7th at The Kraine Theater as part of the 2014 Frigid New York Festival. The show received great reviews (http://thehappiestmedium.com/2014/03/for-body-and-light-2014-frigid-new-york-festival/ and http://www.theasy.com/Reviews/2014/F/forbodyandlight.php).